If you dont know who I am, i'm a fairly popular modder over at the NLSC. Mainly NBA 2K14 but my first love is baseball. So im going to start to release some accesory edits,jerseys,cyberfaces,ect. Expect some soon! im going to be so happy when i find the sleeves in the global. 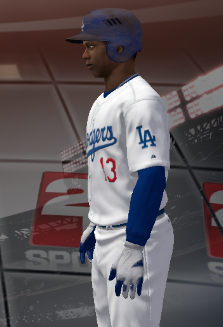 i hate the sleeves in 2k12 and i want to replace them with the normal nba ones because no one wears sleeves that look like they were cut off of a long sleeve shirt. wow. pretty sure 2k14 wouldnt have looked this good if it was actually released. only in this comment link? This is not the thread to ask this question. Send him a private message or go in his thread and ask him. because it's currently a work in progress and not complete yet. I've got a lot of stuff to take care of before I make it an official release. I don't know who this guy is but he looks like he was just told that McDonald's closed five minutes ago. lol. ill post some progress soon. whats the preffered bat? marruci?